PRE-ALPHA: THIS GAME IS NOT COMPLETE. SEE STATUS, BELOW. The most recent build (build 5) now runs without crashing on several test computers. It's turn-based, but doesn't block on animations so you can play as fast as you want (animation speed is also configurable). You can play in glorious modern 3D, or retro CP437/ASCII modes. Movement is grid-based, but with "tweening" to provide a modern look. You can play entirely with the keyboard, the mouse, or a combination of the two. You start with a character class, but can pick up skills from any tree as you progress: you have the flexibility to build whatever character suits your play-style. 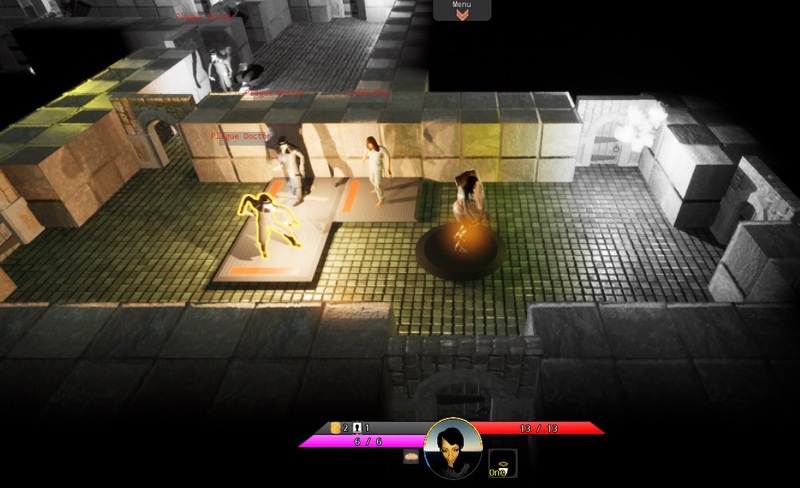 All levels are procedurally generated, providing infinite replayability. With hundreds of skills (including spells), items and monsters - you have the flexibility to enjoy a different game each time. Or you can re-enter a "seed" and play the same game again. The more controversial roguelike aspects are configurable: you can turn permadeath on or off (but you NEVER keep progression between games), item identification can be enabled or disabled, and the hunger clock is configurable. There are 50 levels included in the game. More are planned for future expansion. Most of the game is defined in Lua "raw" files - it's moddable out of the box. The game, right now, is in PRE-ALPHA. You can play to the end, but there are known balance problems, not all creatures are present yet, there's a bunch more items to come, more music/sound to come, etc. Most importantly, later-game content is not present yet! In other words, please enjoy this build, but please let me know about bugs - and check back for updates that finish off the game! The plan is to keep Alpha downloads free, and then move to a paid/early-access model when the game is more-or-less complete. Build 7 - Stability and Making it Friendlier!